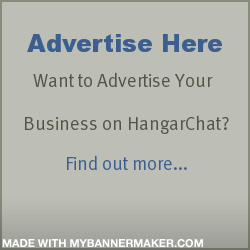 Now you can Invite your Facebook Friends to join you on HangarChat. It's super easy and we don't ask for your Facebook password. "Thanks to our customers and friends who come to us sharing their memories of good time, great friends and sometimes tall tales of flying." ""Managing Safety" Larmore #19020401 John McLeroyDuring the 2018 SUN 'n FUN and Expo The Florida Aviation Network was broadcasting from the Florida Air Museum . FAN Host John McLeroy interviewed Steve…"
""Managing Safety" Doughty #19012801 Mackenzie BarberDuring the 2018 SUN 'n FUN and Expo The Florida Aviation Network was broadcasting from the Florida Air Museum . FAN Host Mackenzie…"